For a garage door company to be considered top tier, it must provide quality products and exceptional service, consistently. In Greenville, South Carolina, one company meets these criteria, and then goes above and beyond – 31-W Insulation. Throughout the Southeast, our reputation for reliability and performance precedes us. Add to that our track record of outstanding customer service, as reflected in our A+ rating from the Better Business Bureau, and you’ve got a company you can trust to complete your installation flawlessly. We will come to your home for a free consultation to help you decide which garage door best complements your home’s design. Our doors are available in an array of designs such as Olympus, Coastal, Hillcrest, Heritage, and Stratford®. To personalize your door, you can choose from a host of options such as different window designs, decorative hardware, and even light panels. Our doors are also available in a multitude of colors and woodgrain finishes, which makes it quite likely you’ll find a door that blends nicely with your home’s existing color. And, for your assurance in your investment, all our doors are backed by comprehensive warranties. 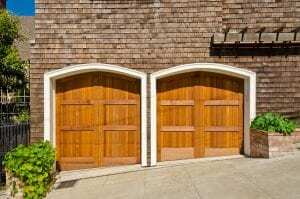 Contact 31-W Insulation today to learn more about why we are the garage door company most qualified to help you make your Greenville, SC, home even more beautiful.